The average full-time worker in America now spend over 40 hours per week on their jobs. We spend more time with our co-workers than we do with our families, or so it seems at times. If you’re fortunate, your work peers feel like one big happy family…or perhaps they feel like one big dysfunctional family. ???? It is important that we understand how to interact with people that may have differing opinions, personality traits, and opposing ideas. 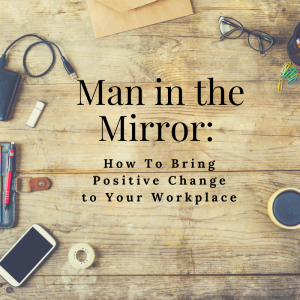 Below is a detailed list of ways you can start to make a positive change in your workplace and improve your professional work environment (adapted from this site). Respect people’s differences– We all see life differently and everyone deserves to be respected no matter the view point. Think positive – It is much easier to interact with a positive person than with someone that thrives on negativity. Acknowledge your co-workers– Greet each other with a smile and a friendly “Hello.” Simply acknowledge the other person in a positive manner and there will be an impact in that person’s day. Listen– It is important to listen to understand rather than listening to reply. Giving your full attention to another person garners more respect and appreciation than any other action you could take. Appreciate others– Say “thank you” and give credit where credit is due. It takes every person, doing their job to make your company successful. Pitch in and help out– If a co-worker asks for assistance or needs help that you can give, then give your best effort in helping them out. Live up to your end of the job– Your employer has certain expectations of you so always give it your best effort. Try to be a problem solver over a problem observer. Ask for help or further training if needed. Respect people’s time and priorities– Everyone in your workplace has a job to do so before interrupting ask if now is a good time or keep your critical requests brief. Be willing to admit your mistakes and apologize gracefully– It is always important to take personal responsibility for your actions then acknowledge any mistakes made in an effort to alleviate any wrong-doing. Invest in other parts of your life– Once work is done for the day, focus on other things like family, hobbies, self-care, exercise, etc. It is best to find balance between work and life so that you can recharge and be your best while at work! Understand that life on the job won’t always be perfect– There may be times that you have co-workers or bosses that you simply do not get along with. If you find that you are employing all of these tactics and you are unable to continue working in that environment then maybe a bigger change is in order. At that point, either talk with HR or begin to look for a new opportunity. If you find that you continue to struggle with your ability to communicate with others or manage your own reactions to the people you work with then don’t be afraid to reach out for help. Our therapists, April Evans and Ida Holem can help you with your communication style, creating work/life balance and managing stress. Schedule an appointment online or give us a call today.